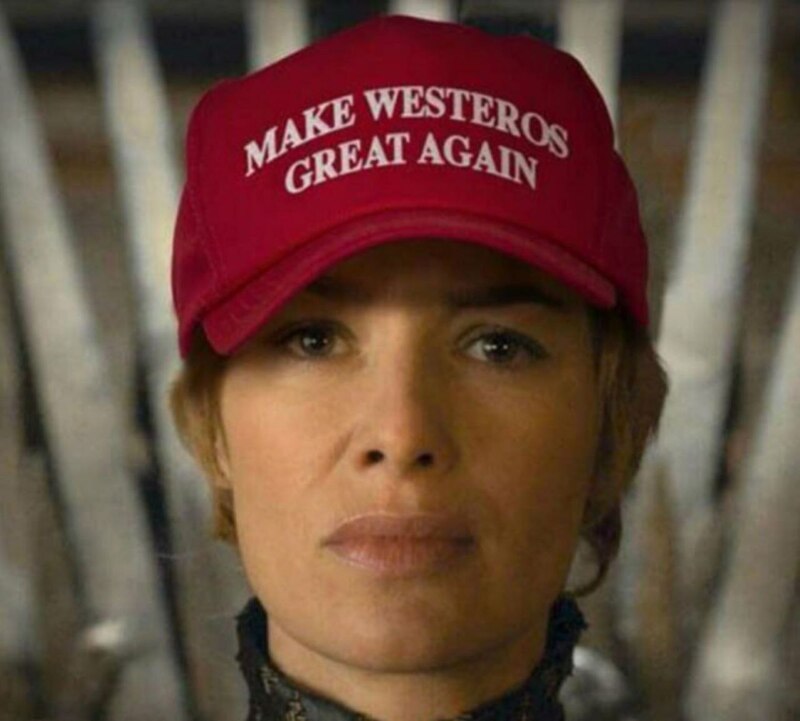 Is Cersei trying to 'Make Westeros Great Again' with all those speeches about outsiders? Game of Thrones Season 7 has been exceeding fan expectations so far, delivering both high-concept action sequences and interactions between characters with actual stakes. 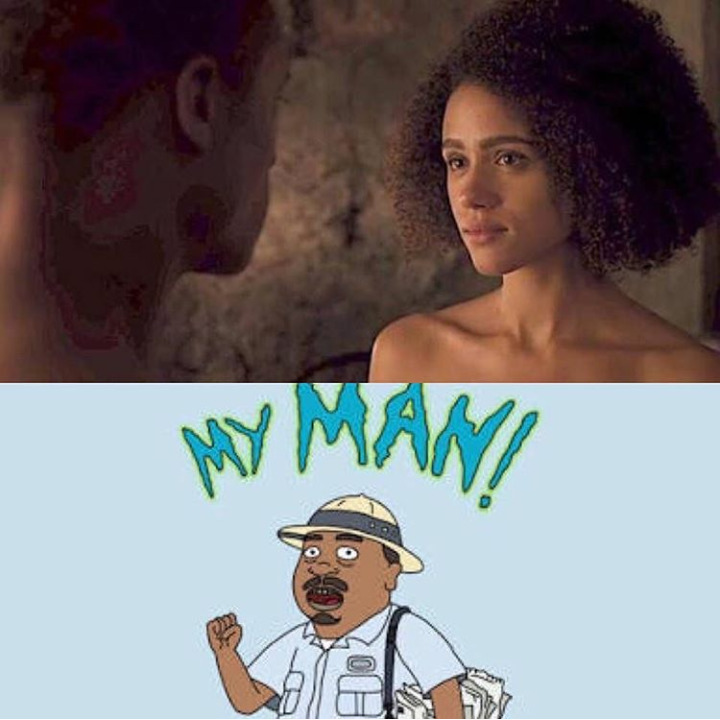 It’s a dearly held understanding on the internet that when a show gets good, the memes get better. Part of what makes mocking Game of Thrones so funny is that the show rarely demonstrates a meta sense of humor; that’s what made Ed Sheeran’s odd cameo stand out, and it’s what makes Sam Tarly’s bizarre gross-out sequences feel so out of place. However, even if you adore Game of Thrones, there’s just something fun about absorbing the self-serious high fantasy epic with a pinch of salt. A grain of it, if you will. Let’s just poke at HBO’s most successful series until something gives, shall we? 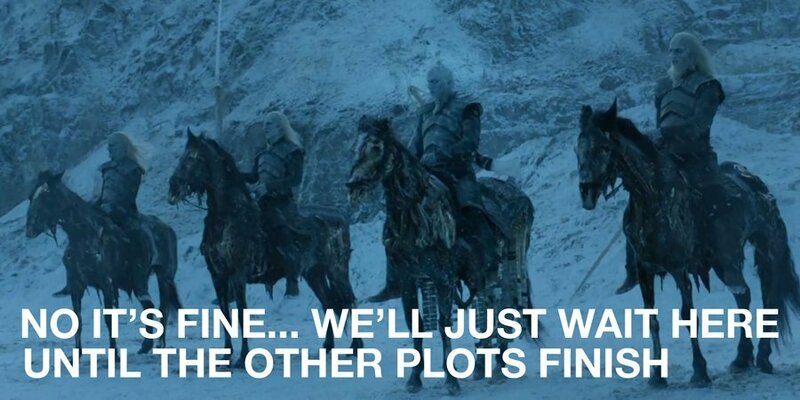 So, here’s our curated collection of the funniest and most poignant Game of Thrones memes as they relate directly to Season 7. We begin, as always, with the Stark family reuniting, as re-imagined in a Community GIF from redditor Fortono. So much has happened to the Stark family over seven seasons that watching them finally reunite and discuss what they’ve seen is both awkward and thrilling. Sansa’s disbelief at how weird her siblings have become has been a popular meme topic. Bran: I'm the Three-eyed raven. Arya: I have a list of people I’m going to kill. Meera: "My brother died for you. Hodor and Summer died for you. I almost died for you"
As the remaining Stark kids file their way back into Winterfell, Littlefinger has been realizing in Season 7 (much to the amusement of Game of Thrones fans) that he’s not likely to get Sansa as his brainwashed wife when all this conflict is over. Bran, in particular, is able to see through his schemes, and that clearly disturbs Petyr. Sansa: I don't need you anymore. Bran: I know everything you've ever said or done. Arya: I can kill anyone, even Brienne. Bran: "Chaos is a Ladder"
Those who want a Targaryen on the Iron Throne make up a complicated web of allies. Though they’ve been on the losing side since landing at Dragonstone, the battle between the Dothraki, Drogon, and the Lannisters finally revealed who’s got the power in Westeros. It’s not the lions. Dany: ok can you handle me dragon? 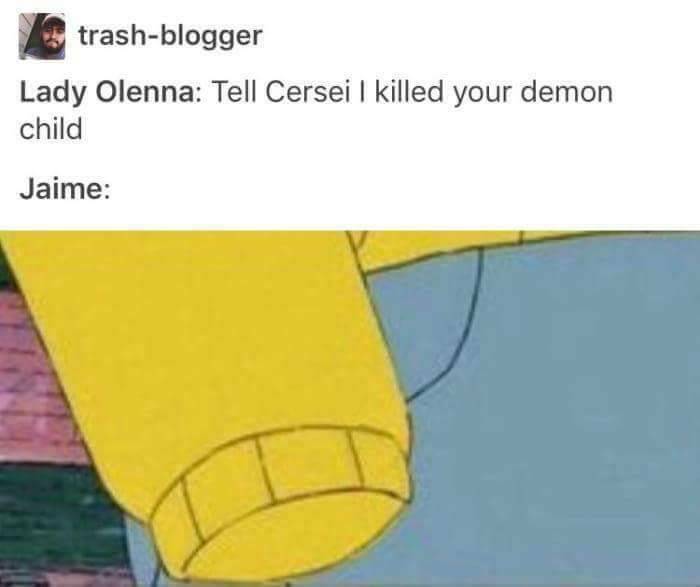 Jaime cannot catch a break. And then, of course, there’s always the icy threat to the North that seems conveniently content to chill for an entire season. A lot of people were convinced Jon did those cave paintings himself.